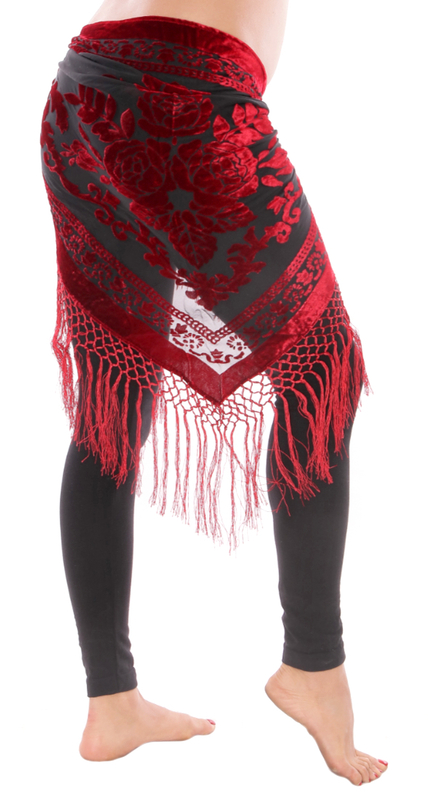 This burnout velvet shawl scarf with floral designs and fringe is great for layering in Cabaret, Tribal, Gypsy, Tribaret, Spanish fusion, and other dance costumes. It's also a fun addition to your evening and club wear. Approx. 64" wide by 32" long (not including fringe). This shawl is just beautiful. The picture doesn't really show how good its quality is. The colors are brighter too and the size is perfect.